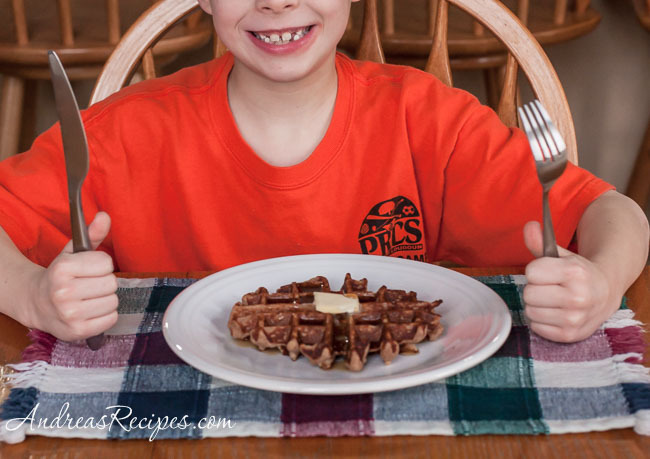 It’s time for another post for The Kids Cook Monday, and this time our boys chose one of their favorite breakfasts, waffles. Around our house breakfast can also be dinner and the boys enjoy waffles any time of the day. 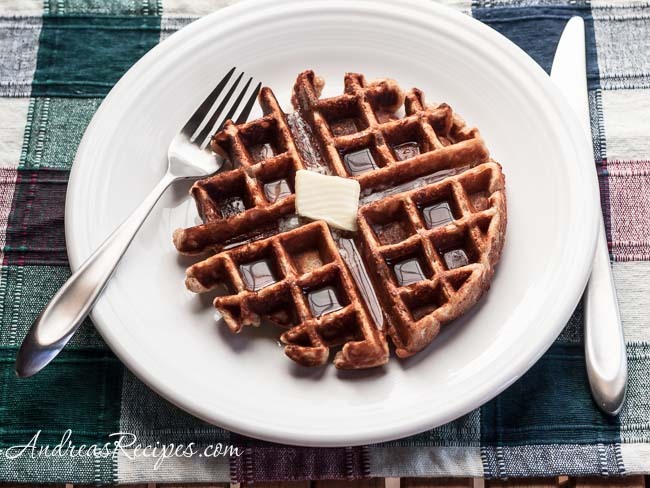 Serve healthy whole wheat waffles with fruit and a vegetable omelet or frittata or and you’ve got a great meal. 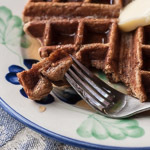 This is a whole wheat waffles recipe that I adapted from King Arthur Flour using honey instead of sugar, buttermilk instead of milk, and adding some cinnamon for a bit of spice. 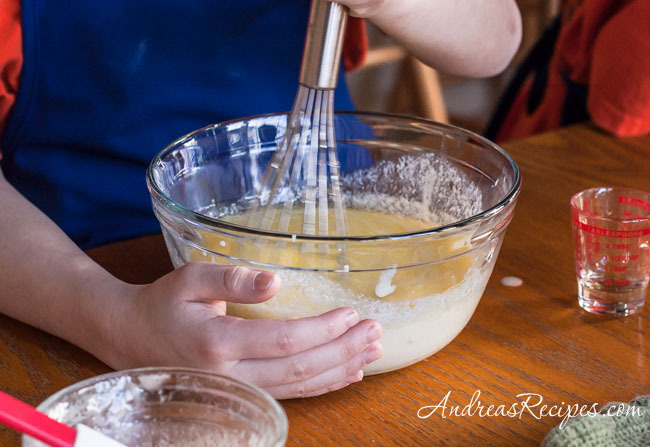 If you don’t have buttermilk, you can make your own by combining 2 tablespoons of lemon juice plus enough milk to make 1-1/2 cups, then let it rest on the counter for about 10 minutes. It will start to curdle and give you some tangy milk. You can also substitute plain yogurt. 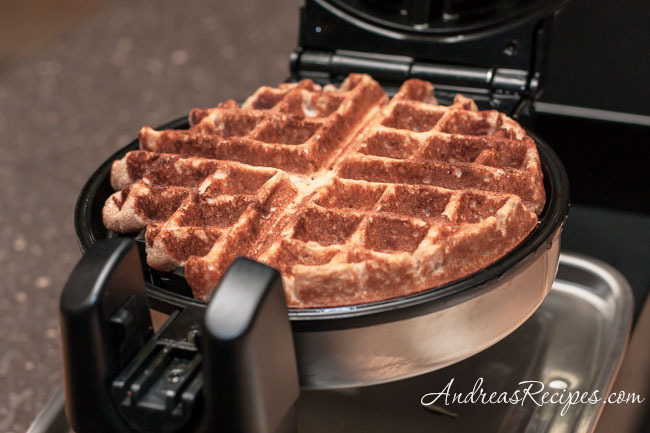 This is an easy recipe for the kids to help with, just mix and let the waffle iron do the cooking. All three of our boys get to help and each has a task, and they get excited about wearing their chef aprons and hats. Demonstrate and assist with any tasks that might be new: measuring, stirring, pouring. 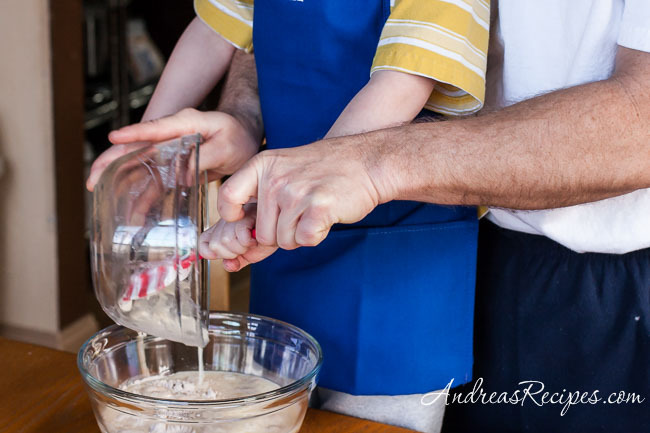 Demonstrate how to pour the waffle batter on the hot iron, remove the cooked waffle, then assist the kids as necessary. Young children should not handle the hot waffle iron. An adult should be in charge of plugging in and turning on the waffle iron. Use wooden tongs or a heat proof spatula to lift the cooked waffle off the hot iron. 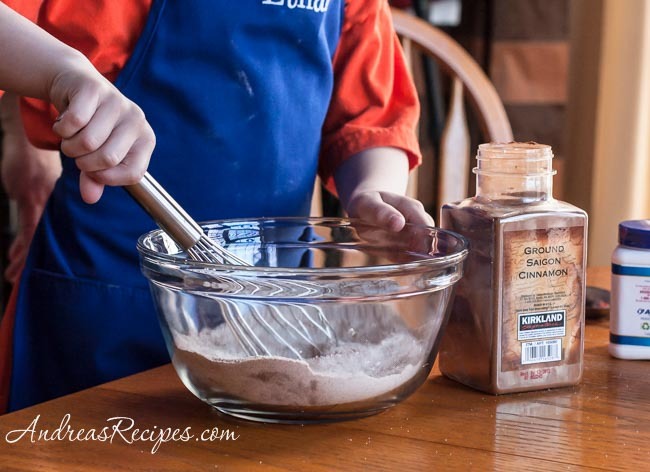 In the medium bowl whisk together the whole wheat flour, baking powder, cinnamon, and salt. In the small bowl stir together the egg, buttermilk, honey, and melted butter. Cook according to your waffle iron manufacturer’s directions. You can keep cooked waffles warm in a 250° F/120° C oven while making the rest, just lay them directly on the oven rack, and they will even crisp a little. Number of waffles will vary according to the type of waffle maker you use. Breakfast for a champion. Great work! So love waffles. So does my waistline. Waffles win! 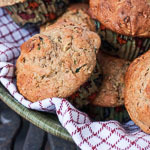 Thanks for a great new recipe. This looks so good! My kids love to make pancakes, but we have not tried waffles yet. Thanks for the recipe! Makes me remember the waffle meals we had growing up. They’ve given way to pancakes, but they’re the makings of great family times. Lovely post & photos. Just bookmarked this page. Great recipe, thanks! Perfection! Just made these waffles this morning for brunch. Excellent recipe. 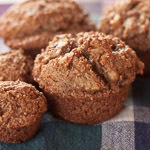 The cinnamon and honey were the perfect compliment to the rest of the ingredients. Not only were they healthy but, they the taste was phenomenal. Thank you!